Human Fc receptors are expressed on a variety of immune cell types including monocytes, macrophages, B cells, granulocytes and dendritic cells. Cells that express Fc receptors can give false positive immunofluorescent staining due to the Fc receptors binding of Ig. Human SeroBlock is designed to prevent such non-specific staining without interfering with appropriate target staining. Human SeroBlock is compatible with use of anti-human antibodies targeting Fc receptors in flow cytometry. 1) Add 5 ul of Human SeroBlock per 100ul cell suspension for 5-10 minutes at room temperature. 2) Add test antibody according to manufacturers instructions – Do not wash Human SeroBlock off the cells. Human SeroBlock is suitable for use in conjunction with test antibodies from any manufacturer or with in-house antibodies. 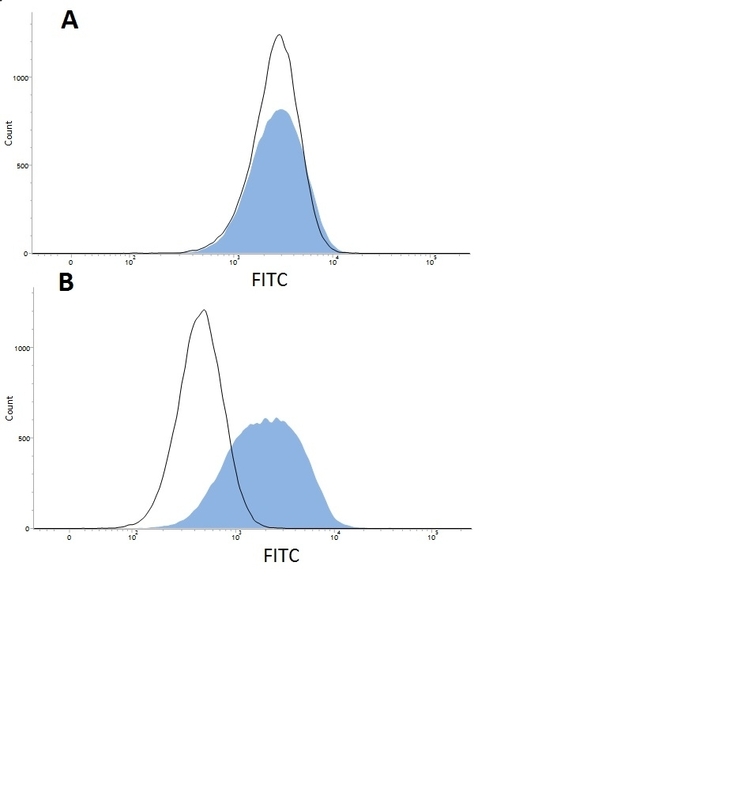 *Human SeroBlock is also compatible with flow cytometric analysis of human Fc receptors. 3) Proceed with staining as usual.